#FutureOfInsurance - Part 2 of our 'Great InsurTech Debate' podcast is now LIVE. 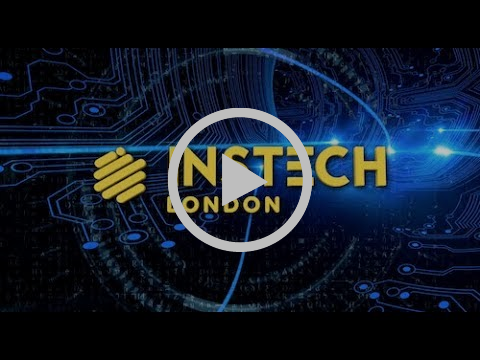 Subscribe to the InsTech London podcast channel to hear from industry leaders about "Who will own the future of insurance?" #MarineUnderwriting - Good news for corporate member company Concirrus today - Antares have licensed their Quest Marine software to drive data-driven underwriting at Lloyd's. #Welcome - A huge welcome to Genasys, the latest company to join as an InsTech London corporate member. #OurNextEvent - With less than a week to go until our brand new Innovation Clinic (November 19th), it's time to take a closer look at the full list of advisers. Spaces going quickly - register here. #HowBrokersInnovate - How the best brokers are innovating. Matthew Grant will be talking to 3 leading insurance brokers at a Novidea webinar on November 28th. Sign up here. #FinTechConnect - We have a number of complimentary VIP passes available for FinTech Connect (5th-6th December). If you're an InsTech London corporate member, please contact robin@instech.london to apply for a complimentary pass. #FromTheAudience - Thoughts (part 1) from Baringa Partners' Christine Fendo after attending 'The Great Insurtech Debate'. #MarketplaceGrowth - Starling Bank has announced new partnerships with friends of InsTech, Nimbla and Zego. #FraudDetection - HSB Ventures, the venture capital arm of Munich Re has invested in Fraugster, a software company that uses artificial intelligence (AI) to prevent fraud for online retailers. #RiskModelling - CyberCube, the Cyber risk analytics firm has announced that CNA has signed an agreement to use its cyber insurance risk modelling and analytics platform.